Santa Maria residents have been arguing about whether to house temporary guest farmworkers in town since at least 2015—and they still haven’t figured anything out. Last year, the city hosted a series of workshops to try to explain the federal H-2A program. Farmers and agricultural industry representatives have said that it’s a necessity. So, in a blue collar town built by farmers, ranchers, and the oil industry, what’s the problem? If you ask Mayor Alice “I need to breathe” Patino, the problem, whatever it is, is more than just a problem. It’s an emergency! Batton down the hatches, ya’ll. The immigrants are here! Not only are they here to work legally and pick those beautiful strawberries that your town is known for—those juicy tart beauties brought more than $457 million to Santa Barbara County in 2017—they’re also here to temporarily reside in a hotel/motel near you. Rumor has it that more motel/hotel properties might get purchased by agricultural employers for housing H-2A workers. And they could do it without a discretionary permit, meaning there doesn’t need to be a public hearing. Wait, I still don’t understand what the problem is. It makes sense that a hotel could temporarily house people, even longterm, because that’s what they do best. Health, safety, and welfare, huh? Anything specific? Oh, farmers and labor contractors are purchasing crappy dilapidated motels that really were a public nuisance, making improvements, and paying for federally vetted temporary laborers from another country to come live in them so those lovely red berries that Santa Maria celebrates with its very own festival don’t rot in the fields? As De Ville Motel owner Andy Patel recounted to City Council, those H-2A workers “ended up being model tenants.” And a guaranteed income, incidentally. A full hotel for 10 months out of the year and no major issues—no drugs, no prostitution, no petty theft—sounds pretty damn good. The city also argued that these H-2A workers are taking up valuable housing in a city with already low vacancy rates. In residential areas, sure I can understand that argument, but it sounds like a little bit of a red herring when it comes to the motels/hotels. If you’re Coucilmember Etta “I’m a NIMBY but won’t admit it” Waterfield, Santa Maria residents shouldn’t be burdened with the housing needs of the agricultural industry. But, I’m pretty sure that most of the local farmers shop and live in Santa Maria. They stimulate the economy. They’re voters. 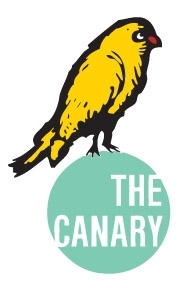 The Canary can smell BS from a mile away. Send comments to canary@santamariasun.com.